Salco Specialties offers installation of commercial hollow metal doors, wood doors, frames, and finish hardware. We also offer and install fire-rated doors, STC doors (sound transmission control), knock-down and welded commercial door frames, Timely Frames, finishing hardware, and door and frame repair and re-work of your existing openings. Need a custom install? We can handle jobs both big and small! We work with generals, subs, or directly with owners who need assistance with the installation of commercial hollow metal doors, frames, wood doors, and hardware, as well as a variety of other services. 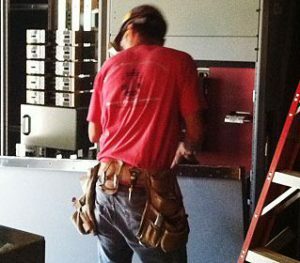 Salco Specialities has decades of experience in the supply and installation of commercial hollow metal doors, wood doors, frames, and hardware, and has completed projects in California, Texas, New York, Georgia, North Dakota and even Alaska! Let us know some details about your job and we’ll get back to you with a quote. Please call 844-458-2750, or use the form below.